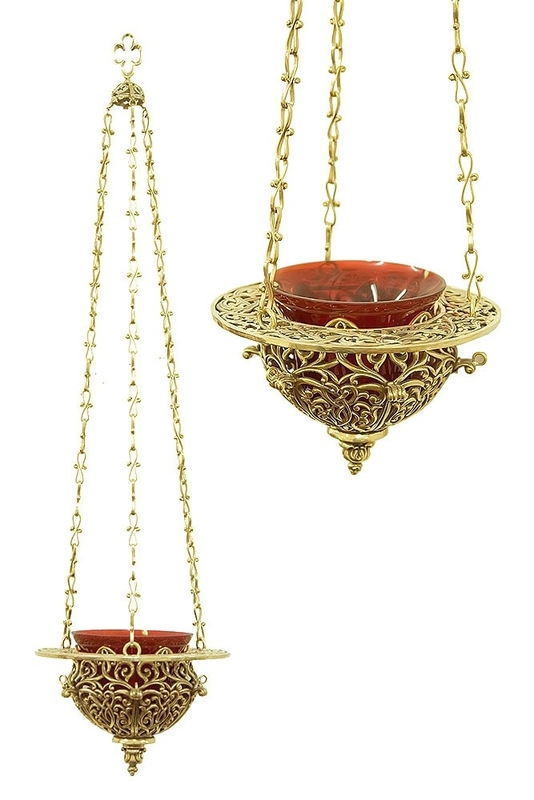 Hanging vigil lamp - 8 - Istok Church Supplies Corp.
Beautiful vigil lamp. A copy of the XV-XVII cent. prototype. Brass, hand-custing and hand-finishing. Size: 5.1''x7.1'' (130x180 mm).